Elmsbrook has taken the prize for Best Place-Based Marketing campaign at the Property Marketing Awards 2016. The Property Marketing Awards recognise the best marketing campaigns across the property industry and the Best Place-Based Marketing Campaign is awarded to the campaign which most effectively promotes a place. 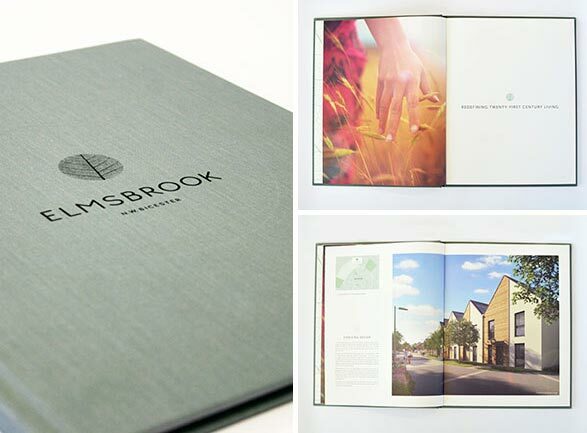 FABRICA appointed London based creative agency Identity Design to develop a brand for the zero-carbon 6,000 home development known as Elmsbrook, which aims to provide both a valuable and sustainable community that benefits its residents as well as the rest of Bicester. The brief was to create a sense of place by creating a name and brand that would resonate with the market town of Bicester, have the durability to become an established Oxfordshire community, and hint at the masterplan’s underlying environmental responsibility. FABRICA and Identity worked closely together to come up with the name Elmsbrook which references the many tributaries and streams that characterise the Cotswolds, and the planting of disease resistant elm trees. The visual identity uses a pure, modernist wordmark with an elm leaf symbol whilst the natural colour palette of muted tones against white refreshing space achieves the perfect visual aesthetic for what is the UK's first eco-town. It’s an honour for Elmsbrook to be recognised in this category for the strong community ethos that it offers its residents and the town of Bicester.